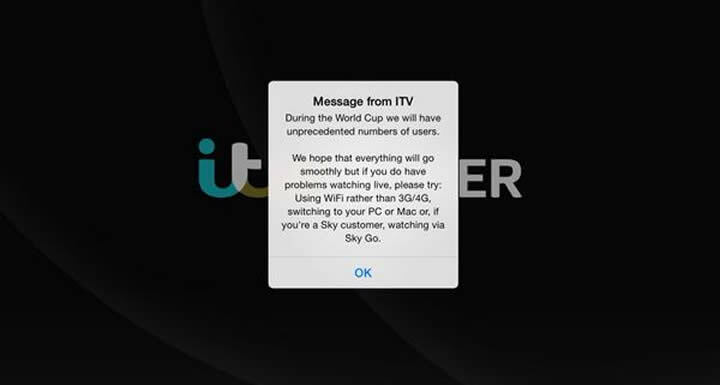 ITV is facing heavy criticism after its online ITV Player failed during the opening game of the Brazil World Cup, causing thousands to miss a crucial goal. The streaming service failed just as Brazilian football star Neymar stepped up to take a penalty to push Brazil into the lead against Croatia with just twenty minutes to go. However, the apologies did little to stem the flood of complaints received by the broadcaster. Last night was not the first time that ITV has come under fire for issues broadcasting World Cup matches, with the broadcaster cutting to an ad break early in 2010 causing millions of fans to miss England’s opening goal of the 2010 tournament in South Africa.